Although Boothbay is such a small town, Boothbay's Opera House manages to entice world-renowned performing artists to play in its coffeehouse-like setting through the year. 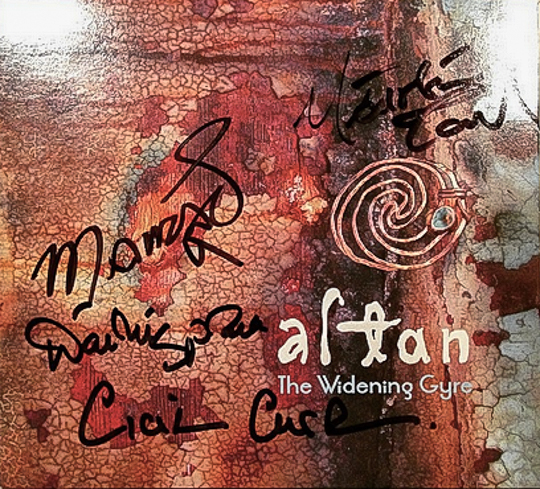 This February, I saw the Irish group, Altan, for just a fraction of the cost of a ticket to see them in a major city. I even sat in the front row and was able to speak with the musicians after the show and have them sign my album cover! Other recent and upcoming performers include Arlo Guthrie and Livingston Taylor. Prices are astoundingly reasonable--ranging from free to about $35 max for 100+ shows annually. There is usually a $5 or so discount if you purchase tickets in advance. I'm pretty sure there are no bad seats at the Opera House. It's a lively and intimate venue. The building itself is worth a visit, dating from 1894 but renovated in 2002 after the venue was nearly shut down. Given the charm of the venue, coupled with the low ticket prices, I am very inclined to buy tickets for any and every performance when I am in town, regardless of the group. I highly recommend that you check out the Opera House's calendar of events well in advance before you next visit to Boothbay, or you may want to plan a visit around a show!